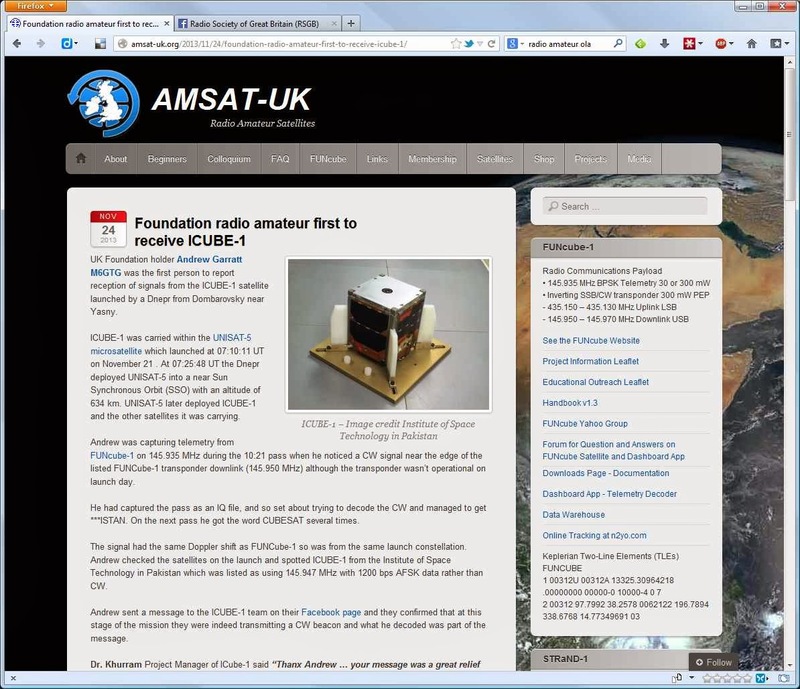 My confirmation of ICube-1 successful deployment was featured on the AMSAT-UK website on Sunday. I had the IQ file from SDR# so could process it as much as I needed and have used a couple of Morse/CW decoder tools before, but find the free ones often struggle with the faint Doppler shifting CW, just a little too much noise and not enough signal. Audible decoding isn’t an option (yet) but I can visually decode, but the signal going up the waterfall shows the dots and dashes but is too quick for me, and ideally I would like it horizontal rather than vertically. 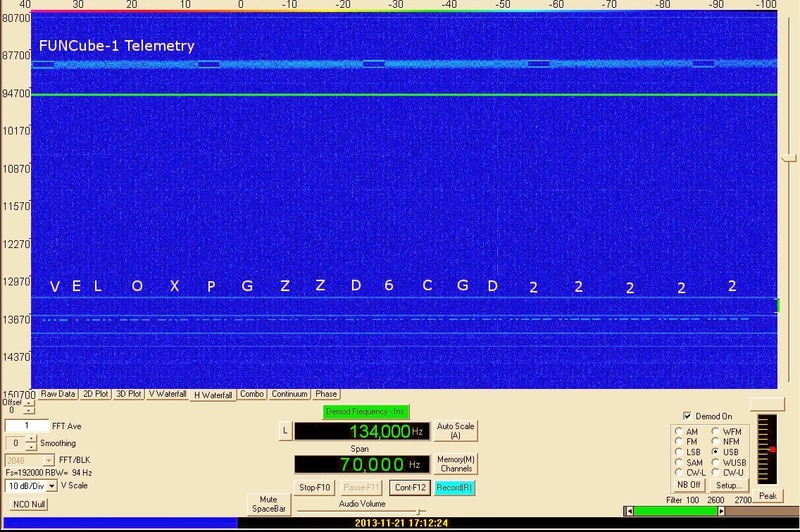 Then I remembered I had installed Spectravue a few years ago, Spectravue is a powerful spectral analysis/receiver program primarily for use with SDR devices, it was the program used to calibrate my first FUNCube Dongle. Spectravue is able to take the IQ file and play it back at varying speeds, it can demodulate signals and importantly allows pausing of the playback and easy access to the section of interest, something SDR# is sadly lacking, also it allows a horizontal waterfall display and the ability to save images. I set about processing and decoding and as you can see from the screenshots below, I managed to identify most of the message (the letters have been added later) The FUNcube-1 telemetry signal can be seen at the top of the images, along with some QRM. During the process I also spotted two further signals from Velox-PII (145.980 MHz) and the First-Move Cubesat (145.970 MHz) – both of these were recorded in the first decent pass over the UK after deployment (10:21 on 21 November 2013) the incorrect time shown on the bottom of the screen shots comes from the fact the files processed were copies and the file time stamp had been altered in the process. VELOX-PII is the first Singapore picosatellite to operate in low-earth orbit, and was developed under the Nanyang Technological University’s Undergraduate Satellite Program. Details here including how to read the telemetry message.